A game that’s probably one of the more obscure titles in the Shin Megami Tensei library. Devil Summoner: Soul Hackers is the second game of the spin off series: Devil Summoner. Originally released on the Sega Saturn in 1997, with a updated re-release on the Playstation 1 in 1999. Both versions were never localized unfortunately. 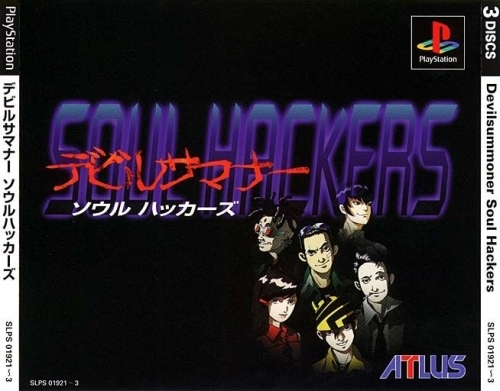 In fact when the PlayStation version was released, Atlus USA was considering bringing Soul Hackers to North America, but they were denied by Sony Computer Entertainment America. There was even another re-release for the Sega Saturn Devil Summoner: Soul Hackers Demon Compendium Vol. 2, again never released outside of Japan, nor was a Playstation 1 version of this released. Recently Atlus has announced that the remake of said game will not just be another simple update, but include full voice acting, a new opening to view(like the PSP ports of the Persona games, you can view the new and old openings). Various enhancements include improved loading times, additional battle animations, the works. With Atlus now good track record in bringing games over to western audiences, we’re confident we will be getting this to. Next Post:What is Pandora’s Tower?